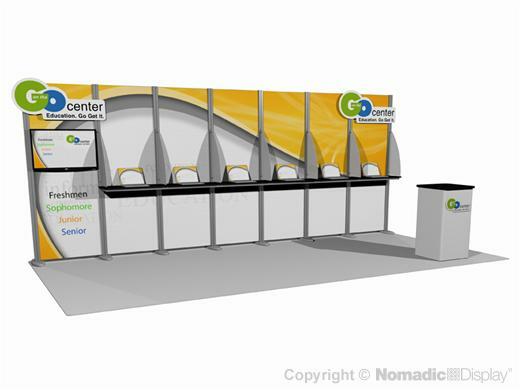 You want a trade show booth that can adapt to different footprints. Our 20’ hybrid trade show displays adapt to your business needs by scaling to a 10' ultra portable unit. Nomadic hybrid display solutions feature: integrated A/V workstations with locking storage and trade show shelving for product display.